Weirdly, the best in slot by one or two dps for Fury Warriors. ArP doesn't negate the Crit and Crit rating gem slot, which buffs the gem above the Bold Scarlet Ruby. you cant really stack too much armor penetration with the current items known. i can think of the neck from the Malygos quests(10man and 25man), a pair of boots and the helm from the same set for warriors. Looks like they just changed the looks of it as of the Shattering. looks badass. The model for these shoulders appears to have changed in 4.0.3a. I do not know if it was an intended change. From the looks of it they accidentally swapped the models with some Cataclysm PVP gear by accident. 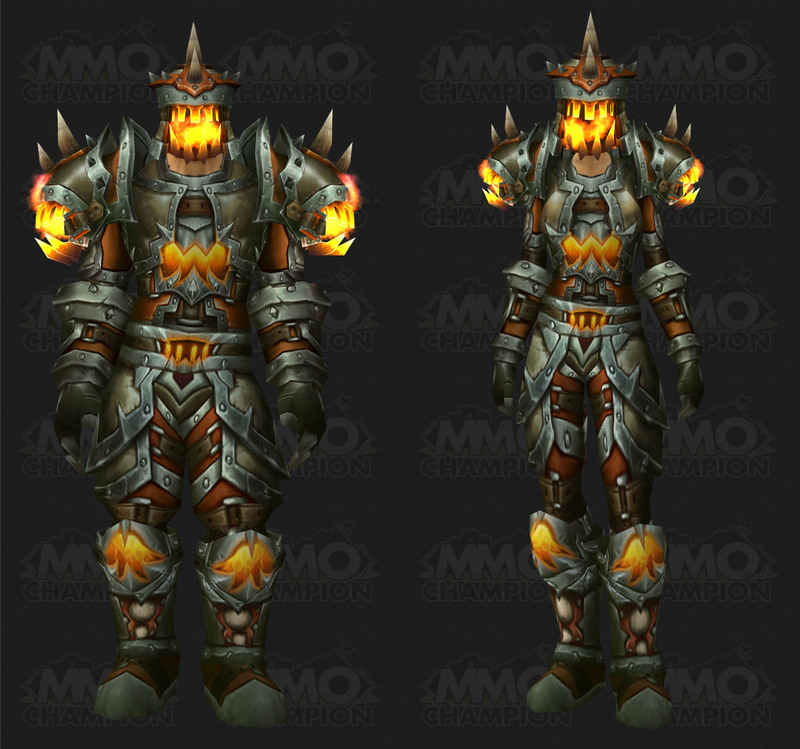 As the new model has fire in it and a ''bottom'' type jaw, maybe its the next part of the PvP gear as it upgrades, so some how it bugged ( mis type in coding etc ) and they have put the next"tier" or warrior plate armor in. Just a little theory craft, I'm sure its a bug though as the rest of the gear doesn't match it, and the tank version is still normal. So I was correct in my Theory. New model, perhaps Warrior S10? Compare it with bloodthirsty/vicious shoulders, you'll notice the only difference is the face, fire, and horns, and color of course but, Compare, chances are its the next seasons shoulder model.